It has been a crazy week in the name of science communication. 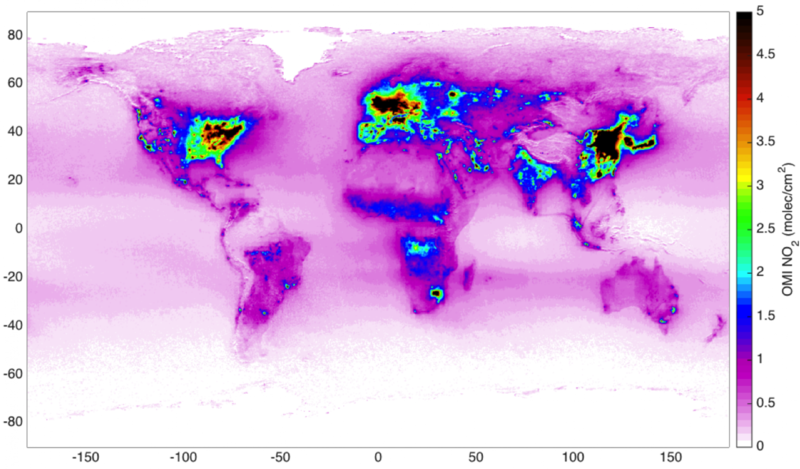 I also spent some time trying do develop a nice visualisation for my air pollution satellite data. I used again space-based gridded NO2 observations from OMI, onboard AURA NASA satellite. Nitrogen dioxide pollutes the air mainly as a result of road traffic and other fossil fuel combustion processes. 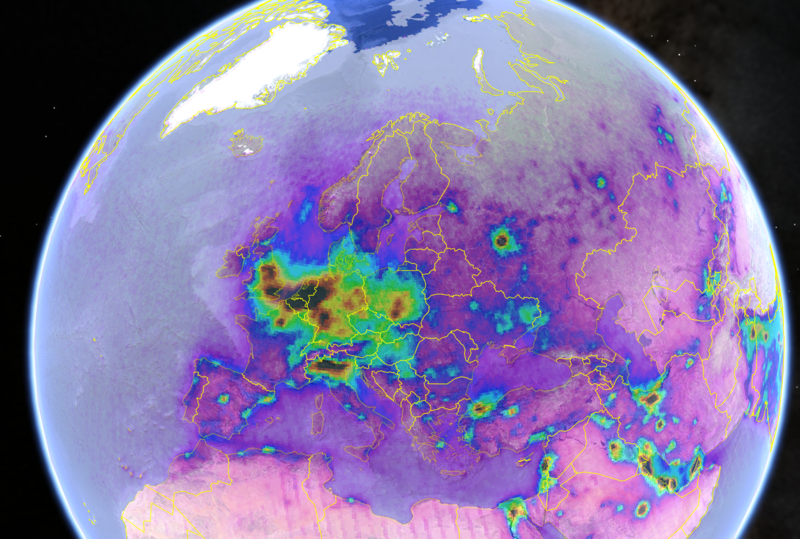 In the picture above you can have a look at the air pollution situation in Europe and the Middle-East for 2016. Darker colours correspond to the most polluted areas. In Europe, large pollution hotspots are visible in Central Europe and over the major cities (mainly do to road traffic) and industrial areas (Po Valley, Ruhr area and ore mining industrial area in Poland). In the Middle-East, pollution signatures from the oil extraction activities as well as from the main urban areas. So, after all this work we put the press release out on the FMI site, in preparation for the TROPOMI launch on Friday. After that, our hopes to get some attention from any journalist or to have any kind of impact on the public were gone. I never thought that my work would have anything to do with the President of Finland baby news, but it did. When we already gave up, we received a call from Helsingin Sanomat for an interview: so my pictures and the results of years of work will end up on the main Finnish newspaper early next week. I’ll get back to you on that on Monday. Moral of the story, I guess “never give up”. Anyway, this week was TROPOMI week! Today ESA successfully launched its first Sentinel-satellite dedicated to atmospheric composition monitoring: Sentinel 5 Precursor with its only payload TROPOMI (Here the press release in Finnish). TROPOMI will continue OMI atmospheric observations with better spatial resolution and sensitivity. We organised a small happening here in FMI and everybody had the opportunity to get exited in company. 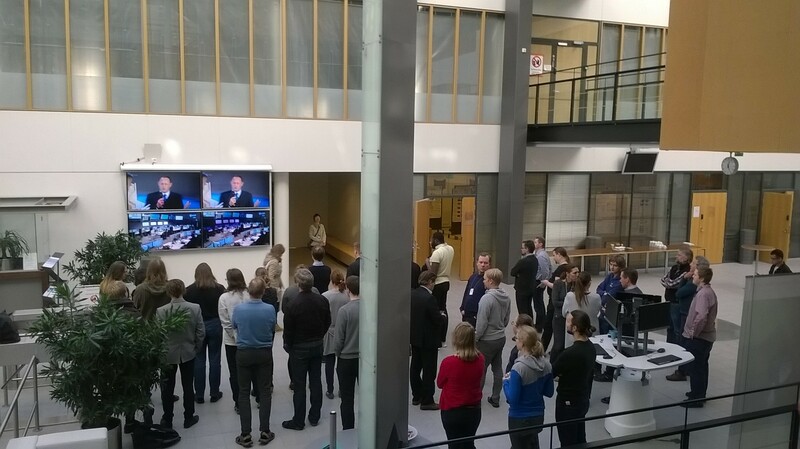 The first signal was received and now we can enjoy this moment, knowing that we have opportunity to work on atmospheric remote sensing for hopefully many more years.